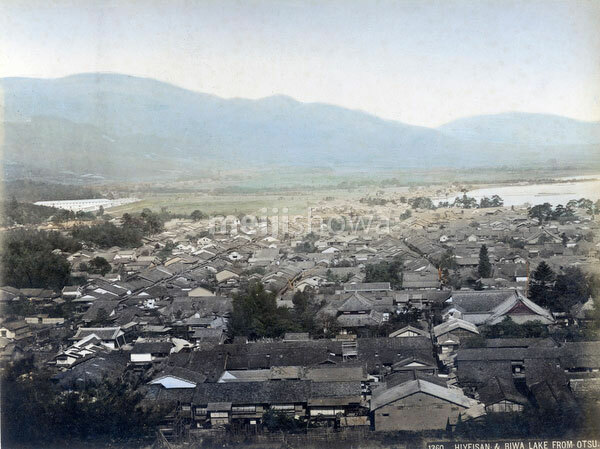 Panoramic view of Otsu on Lake Biwa, partly visible on the right. The mountain in the back is Mount Hiei. In 788, the Buddhist temple Enryaku-ji (比叡山), the first Japanese outpost of the Tendai sect, was founded here.